It is frequently alleged that the nation-state in the 1990's is at a precarious moment of history, poised to somehow inevitably disintegrate under the pressure of globalisation. It has been a mere decade since this word 'globalisation' started to infiltrate the everyday language of nations worldwide. And like many new catchwords which suddenly enter a language, it's precise meaning can be lost or obscured in amongst the new, exciting and often stimulating concepts which orbit about it; Internet, Free Trade, Borderless World, Information Superhighway, and many others. In fact, globalisation as a process of world economic integration and interdependency is far from being new, and it could be argued that this process has its roots in time immemorial when humanity first found it advantageous to trade surpluses of goods with one another. It is sometimes noted that Homo sapiens is differentiated from the rest of the animal kingdom by their ability to communicate abstract ideas; to this might be added their urge to trade. Trade between individuals, between family groups, between villages, tribes, kingdoms, nation-states; these ever widening circles of trade interaction have encompassed the entire world within a vast network of patronage, obligation and interdependency. The purpose of this paper is to look at a few of the ways that the globalisation process has affected the institution of the nation-state, in particular its ability to autonomously manage its own social and economic policies. I shall first attempt to place globalisation into its current context, before going on to discuss some of the impacts of financial capital upon the nation-state, national sovereignty, and culture, and the implications of these impacts upon the nation-state of the future. There are those who see globalisation as simply a recurrent trend of world capitalism. Giovanni Arrighi, for example, identifies four 'systemic cycles of accumulation' within the history of world capitalism, starting with the merchants of the city-state of Venice in the 16th century, which was replaced by the small 'proto-nation-state' of Holland and its chartered companies (eg, VOC) in the 17th century, which in turn was replaced by the British nation-state with all its associated empire, which was then replaced by the USA and its transnational corporations and far-flung military bases. So indeed, the process of globalisation can be considered to be inextricably linked to the requirements of a developing capitalist system of economic activity. The rise of East Asia as a major economic region over the period of the decline and fall of the Soviet Block can be seen as a key part of this latest process of capitalist expansion, or globalisation. Without the rise of East Asia, globalisation as a recent recognisable phenomenon could definitely not have occurred. Also, the presence of a competing political system in the form of the Soviet Union and its satellites would also have prevented this latest spurt of globalisation. The disintegration of the Soviet Union and the emergence of the East Asian economies were essential elements in this latest accelerated drive towards globalisation. Arrighi observes that 'the formation of a capitalist world system, and its subsequent transformation from being a world among many worlds to becoming the historical social system of the entire world' have been based upon the construction of territorial organisations capable of regulating social and economic life, and of monopolising the means of coercion and violence. It is these territorial organisations whose sovereignty is now being undermined by the present wave of financial expansion. [...] the solutions [to the currency crisis] are not mysterious. They need sounder currencies, linked to the dollar, less public spending, lower taxes and less regulatory red tape, borders that are more open to trade and capital, and governments that are more candid, less corrupt and less apt to meddle in the private sector. [...] Markets enforce a more efficient discipline: A country that complies with conditions hospitable to capital will get that capital, which is continually scouring the globe, seeking the best returns. [...] capital does not flee sound economies. The worth of a nation is now measured in terms of its credit assessment. Private, New York-based companies such as Moodys and Standard & Poors are respected (and feared) by nation-states worldwide for their enormous power to determine how much they will have to pay to access capital. A poor credit assessment, based on an evaluation of the sum of risks associated with lending to a particular borrower, determines the interest rate lenders demand from borrowers, whether those borrowers be individuals, corporations, or national governments. A credit assessment evaluates both the ability, and the willingness, of a nation to honour its debts. The issue of 'willingness' is extremely important, as unlike companies and individuals, it is impossible to take a national government to court to demand payment. Politics becomes inseparable from economics, as an assessment must take into account the political system, social stability, decision-making processes, and any factor likely to impact upon the repayment of the loan, including domestic economic policies. Creditors favour market-oriented (ie, neoliberal) policies because it is considered that these policies lower the political and economic risks, and by extension, the possibility of default. National governments are therefore bound to implement economic and social policies that provide comfort to the demands of capital. Failure to do so leads to capital flight, lower credit ratings, and higher borrowing costs. National governments have to play to their audience if their nations' are to survive, and their audience is capital. National governments are the largest borrowers of international capital and competition between states and regions for access to capital on the best possible terms is highly intense. Competition for investment capital is also intense; the finance market has become a beauty contest with capital the sole determinate of what constitutes 'beauty'. (1) Loans would be made only at "penalty rates" -- certainly higher than the 4.5 percent that Korea recently paid. (2) Nations borrowing money must put up their best collateral, such as U.S. Treasury bills or gold. (3) Borrowers must allow foreign banks to operate within their borders and be able to purchase their domestic banks. The best way to reform a rotten financial system is to admit good, free-market bankers. (4) Borrowers must subscribe to a new bankruptcy convention that would adopt laws similar to those in the United States and Europe. Lenders have to know that they can seize assets in a default. Capitalism's global receiver, the IMF, is currently imposing prescriptions 3 and 4 upon Indonesia and South Korea. The modern globalisation phenomenon is very much a private-sector driven ideological agenda. The processes of decision-making are being shifted not only from the nation-state to transnational actors, but also from national governments to the private sector. The issues of globalisation and liberalisation are thus inseparable; they are part and parcel of the neoliberal project. So what are the implications of this globalisation process for the supposedly sovereign nation-state? The basis of the modern nation-state was laid down in the Treaties of Westphalia under Dutch tutelage in the mid 17th century. Since that time, state sovereignty has been a guiding principle of international relations. One of the principles of this form of nationhood and sovereignty is the concept of 'territorial integrity', whereby national boundaries are clearly delineated, and where trespass by another nation is considered a serious violation of sovereignty. In principle, everything that occurs within the boundaries of the sovereign nation-state is the business of that nation-state alone. 'Interference' in the internal affairs of one nation-state by another is seen as a transgression against the national sovereignty of that nation-state. The reality, of course, is much different. Although in theory national sovereignty may be acknowledged in some ways, strong nation-states have always exerted powerful influence in the internal affairs of weaker nation-states. So to a large degree, it could be said that Westphalian sovereignty is a myth, despite being extremely influential as a guiding concept in international relations. In the past - as in the future - weaker states will always be prepared to an extent to surrender a portion of their national sovereignty in exchange for some form of perceived protection or advantage. Therefore, absolute sovereignty has rarely - if ever - occurred in the history of humanity. Indeed, every relationship with an external power necessarily involves a diminution, however slight, of national sovereignty, but a slight diminution of sovereignty can sometimes mean an increase in security, power, control, and/or wealth. Membership of international or regional organisations by nation-states also has the effect of diminishing state sovereignty. Trade blocs such as the EC, NAFTA, APEC, EAEC, can (or will in the future) reduce governmental control over the national economy. Even multi-nation 'trade zones' such as Batam-Singapore-Johor, Australian-Indonesia Development Zone, Aceh-Penang-Phuket, and others, can have a similar effect of reducing flexibility in national economic policy, however slight. The World Trade Organisation (WTO) and the International Monetary Fund (IMF) can - and do - have an enormous impact on a nations' economy, and thus the internal social security and autonomy of that nation. Intervention by the IMF, when the situation is sufficiently serious, can seriously undermine the credibility and independence of a nation-state. Bodies such as the United Nations (UN), by way of military intervention and economic sanction, can seriously call into question the legitimacy of a nation-state and its ability to determine what occurs within its territorial boundaries. International treaties - both bilateral and multilateral - also cede a portion of a nations sovereignty to the achievement of some purpose. Transnational corporations - in particular those vertically integrated structures of US corporations - have served as powerful vehicles of US national influence over the affairs of every nation-state on Earth. Coca-Cola, IBM, Ford, Microsoft, just to name a few, in themselves exert more global power and influence than a dozen microstates combined. The presence of a transnational within a nation-state effectively places a claim on a portion of the income of the host state, and in many cases control over certain resources. This kind of external influence constitutes a diminution of control by the host state, and hence, and diminution of sovereignty. In some senses, globalisation has always been linked to the ability to communicate over ever increasing distances; indeed, the process of globalisation can be seen to be the process of the elimination of distance as a limiting factor in human relationships and commerce. As Harvey (1995) observes, whilst the newness of the 'information revolution' is impressive, 'the newness of the railroad and the telegraph, the automobile, the radio, and the telephone in their day impressed equally.' However, it needs to be acknowledged that the developments in computers and communications technology over the past 20 years have vastly improved the speed, quality, and sophistication of global communications. Overlaying the latest of this new communications technology is a protocol originally developed by and for the US military in the late 1960's: the Internet. As a consequence of its ideological victory over the Soviet Union, the US has emerged as the singular, dominant world power; ideologically, economically and culturally. It is the US, or more correctly, forces within the US, which are leading the charge towards economic globalisation, based on Western (mainly US) cultural assumptions. The English language is now undisputed as the one and only international language, and knowledge and mastery of English is now almost compulsory for politicians, high government officials, technologists, and business people the world over. The influence of the English language has impacted on every other language in the world, and completely dominates the vocabulary of commerce and technology in particular. 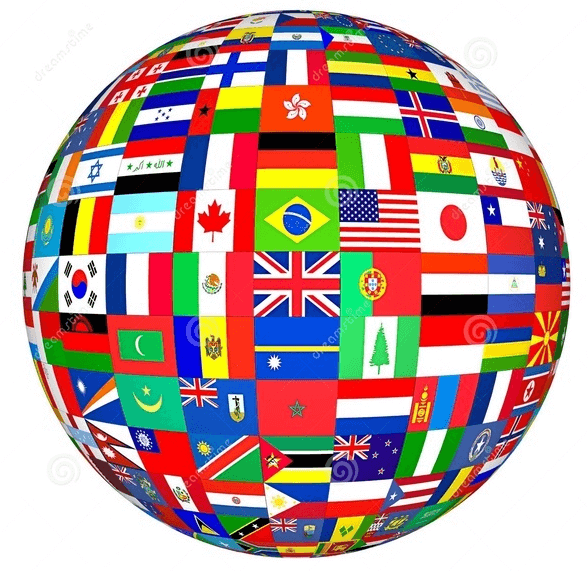 Words are not neutral; they come loaded with one or more cultural assumptions, so when a foreign 'word' enters a language, a foreign concept also necessarily enters, and acceptance of a word into a language invariably means acceptance of its cultural passenger. The US continues its world dominance of film entertainment, despite being completely inward looking and obsessively US-centric. US sit-coms are almost like Trojan horses, filled with the cultural assumptions and values of the hyper-individualistic American society, where every member of that society lives in a sit-com of their own making. To an extent never before experienced, the world has become subsumed by a singular culture, ideology, or world-view, ie, neoliberal capitalism. However, history tells us that hegemonies such as this only survive a certain time before themselves being subsumed by newly emergent and competing cultures and ideologies. Indeed, this US hegemony could carry within it the seeds of it own undoing, inasmuch as the quasi-autonomous transnationals which constitute the backbone of present US power are increasingly free from the necessity of US territorial or military protection. So indeed, the global triumph of US capitalism may prove to be relatively short-lived in historical terms. According to John Locke the proper function of government is to protect life, liberty and property. The neoliberal project advocates a return to this pre-industrial interpretation of the state's role, emphasising minimalism and non-intervention, and hostility to social welfare and state involvement in the provision of goods and services. The state is viewed as a necessary evil to be tolerated only as a 'night-watchman' or umpire and not as a participant. The effect of financial globalisation upon the nation-state has been to force change upon this institution as a precondition for investment. International organisations such as the IMF and World Bank have been at the forefront of this ideological push, forcing not only developing countries, but also developed industrial states to adopt their orthodoxy or suffer the consequences. Globalisation within the neoliberal agenda is pointing to a new, ultra-minimalist role for the nation-state as simply a guarantor of debt repayment, of contract enforcement, and of social control within agreed territorial boundaries. In the realm of financial globalisation nation-states seem to have little choice but to relinquish their policy autonomy to the demands of this agenda. However, the question needs to be asked, has a nation-state ever been economically autonomous? The answer to this is unequivocally 'no', despite various experiments this century by several nation-states to isolate themselves from the influence of global economic activity; North Korea, Burma, Albania, and Democratic Kampuchea are all examples of such nation-states; their achievements - economic and social - require no further comment. Although the nation-state as an institution will not die out in the foreseeable future, its monopoly of power has been considerably weakened, and its hold on populations has been greatly reduced. The nation-state has become just one of several world organisational structures. Sovereignty - presuming such a thing ever really existed - may well be consigned to the history of the late Industrial Age, a mere picturesque oddity on the pathway of humanity's journey. Freidman, T (1997). 'Roll Over Hawkes and Doves' the New York Times, 2 Feb, I:15. Arrighi, G (1997). 'Globalisation, State Sovereignty, and the Endless Accumulation of Capital'. A newest version of a paper presented at the 'States and Sovereignty in the World Economy' conference, University of California, Irvine, 21-23 Feb. 1997. Strange, S (1995) 'What Future for the State? ', Daedalus Vol 124, Number 2, Spring 1995. Mills, K (1994). 'Human Rights and Sovereignty', Occasional Paper (6:OP:2, 1994) of the Joan B. Kroc Institute for International Peace Studies, University of Notre Dame. Kirby, M (1996). 'Globalisation of the media and judicial independence'. Presented at a seminar of the International Commission of Jurists concerning 'Media and the Judiciary' in Spain, 1996, reproduced at http://www.austlii.edu.au/au/other/media/8744.html. Heywood, A. (1998) Political Ideologies: an introduction. Macmillan, London. Britain in the 1970's was one such an example.